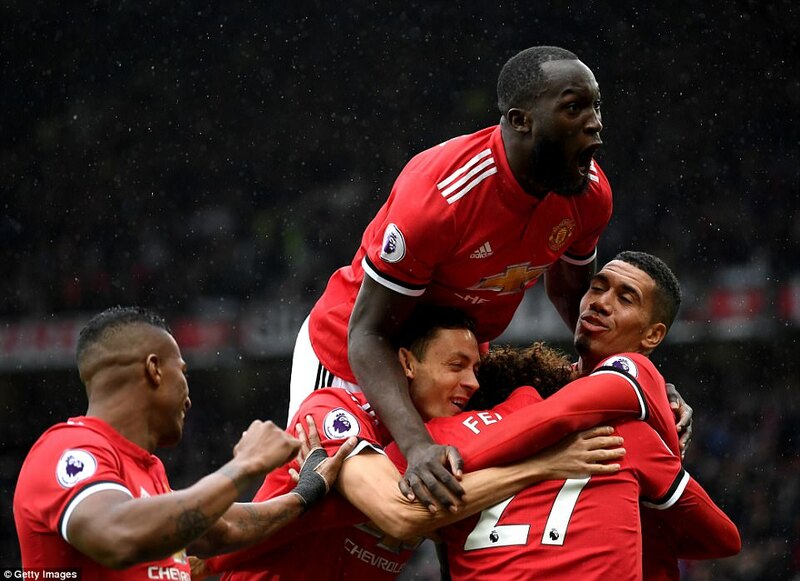 Crystal Palace’s prospects of pulling off a shock result at Old Trafford disappeared within three minutes as Manchester United wrapped up a routine victory with Marouane Fellaini’s first double for the club and a record-equalling goal by Romelu Lukaku. 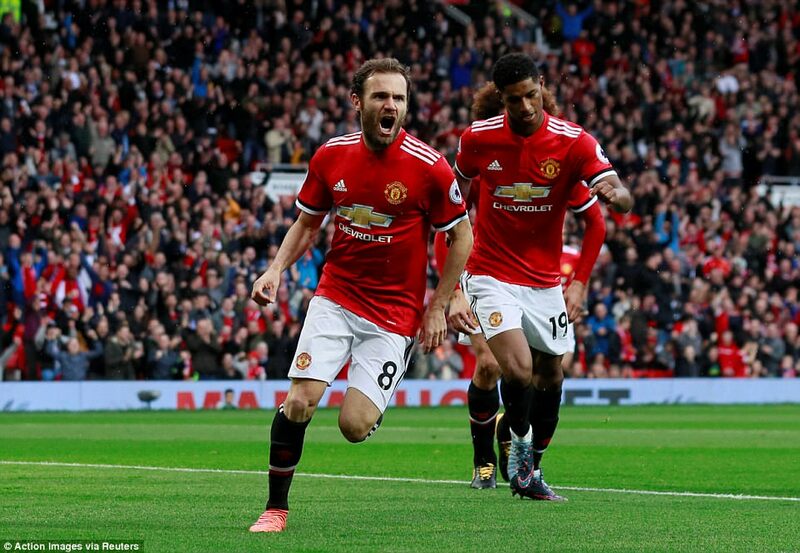 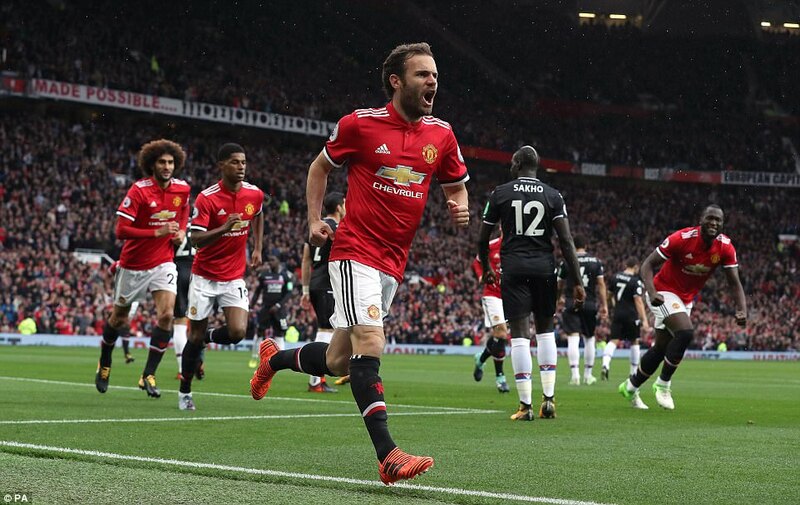 Palace, still without a point or a goal in seven Premier League matches, were exposed early on as Juan Mata converted a cutback by Marcus Rashford. 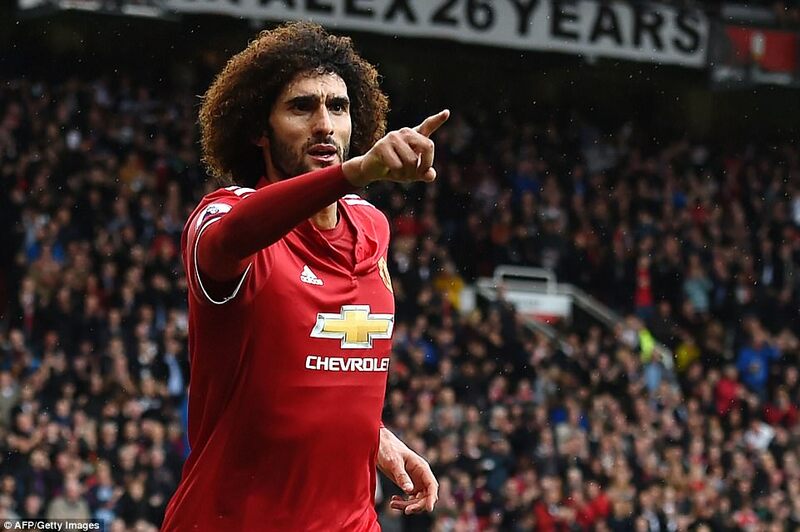 Fellaini then went on to score either side of half-time to keep United top of the table with Manchester City involved in the late kick off at Chelsea. 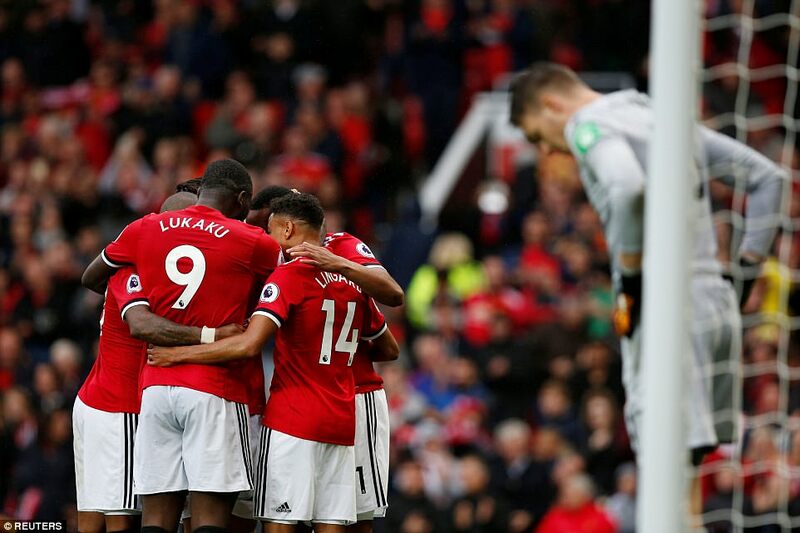 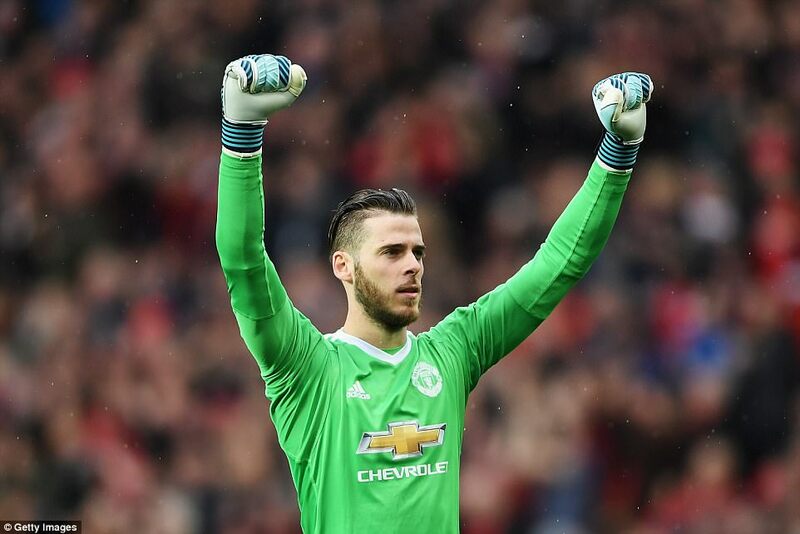 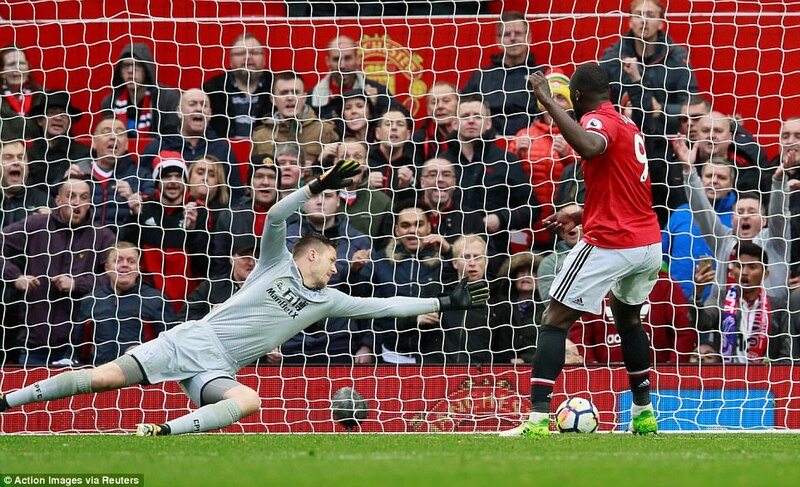 Palace’s best moment came when makeshift striker Bakary Sako tested David de Gea with the score still at 1-0 but Lukaku put the icing on the cake when he tapped home United’s fourth, joining Andy Cole as the only player to begin his Old Trafford career with seven goals in seven games. 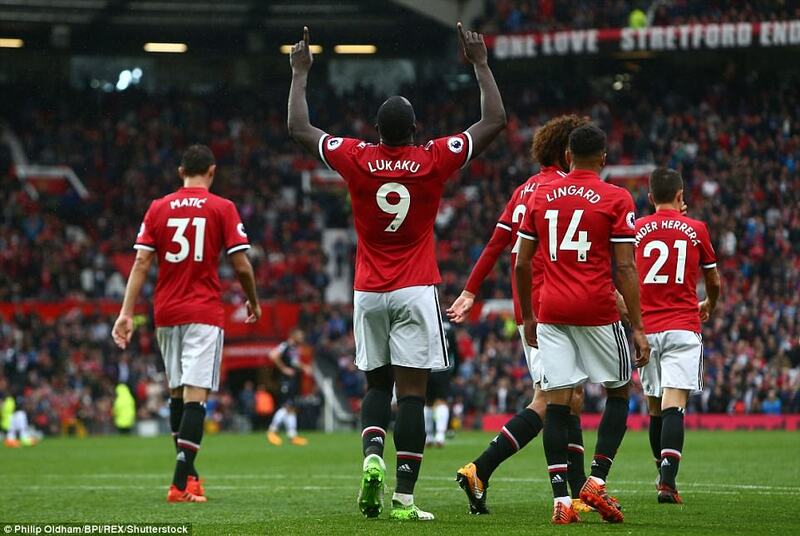 It looked a mismatch on paper and even though the visitors had their moments, it was one of Jose Mourinho’s more relaxing victories as they made light of Paul Pogba’s absence with a hamstring injury and a 4am arrival from Russia on Thursday. 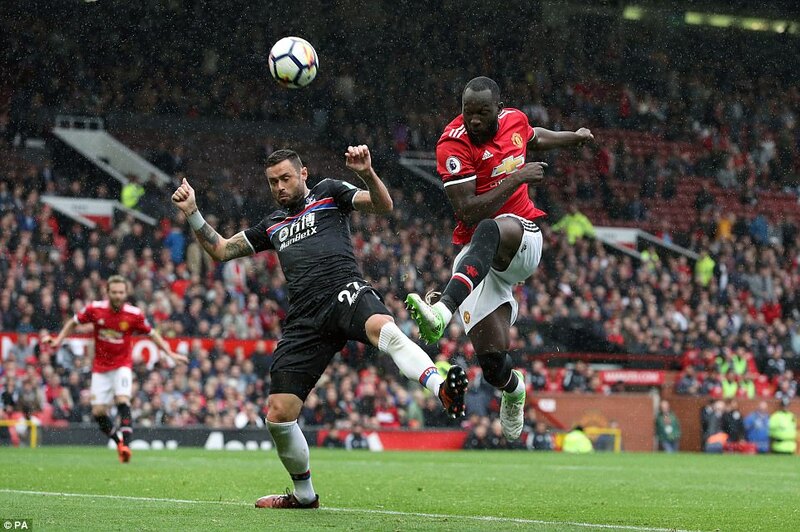 Roy Hodgson had to recall 36-year-old defender Damien Delaney with centre halves James Tomkins, Timothy Fosu-Mensah and Scott Dann all out for a variety of reasons, while winger Sako was forced into No 9 duties with Christian Benteke and Connor Wickham both out. 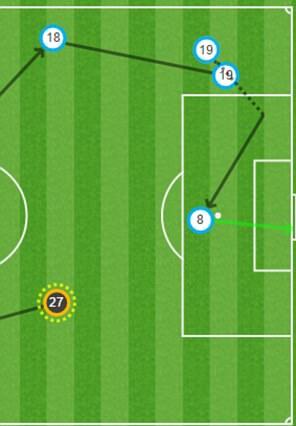 If Hodgson’s plan was to keep things tight early on, it failed spectacularly. 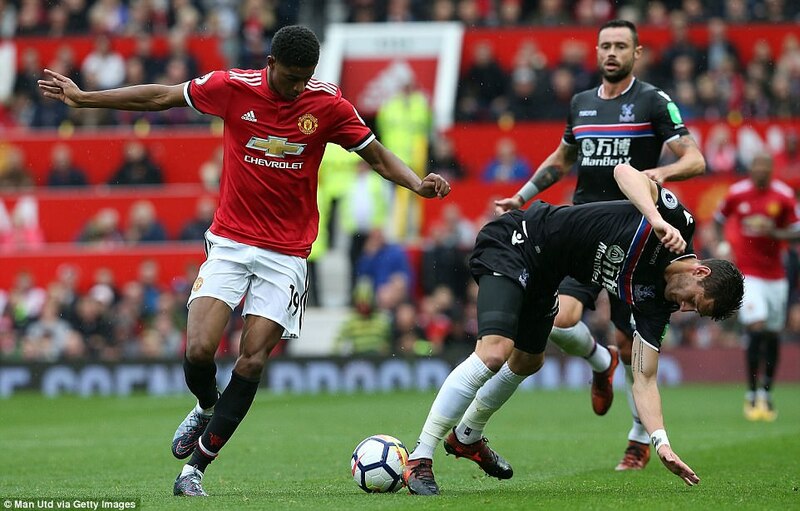 After three minutes, Rashford feinted to go past Joel Ward in one direction then twisted to fly past him in the other. 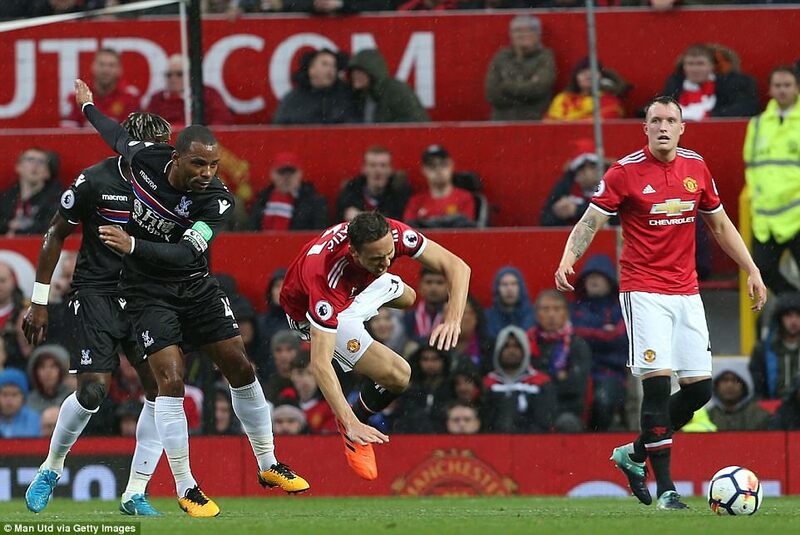 When the England youngster got to the byline, his measured cutback evaded three Palace shirts before Mata nipped in front of Mamadou Sakho and fired in from 12 yards. 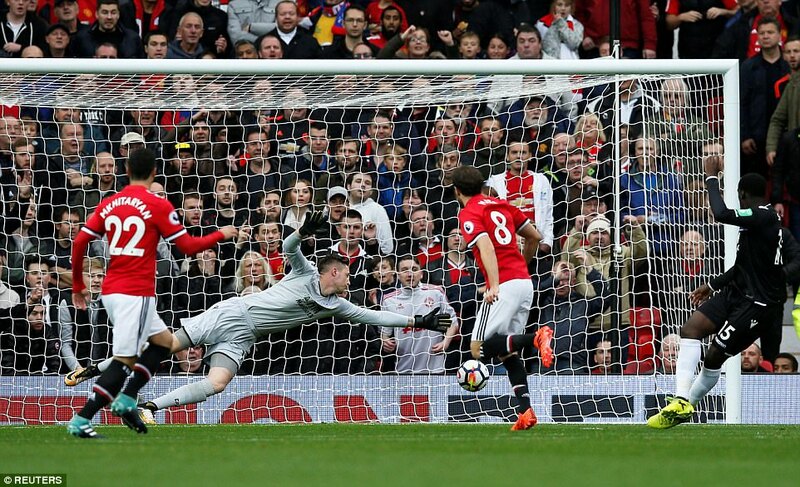 It was the Spaniard’s first goal of the season on his 200th Premier League appearance. 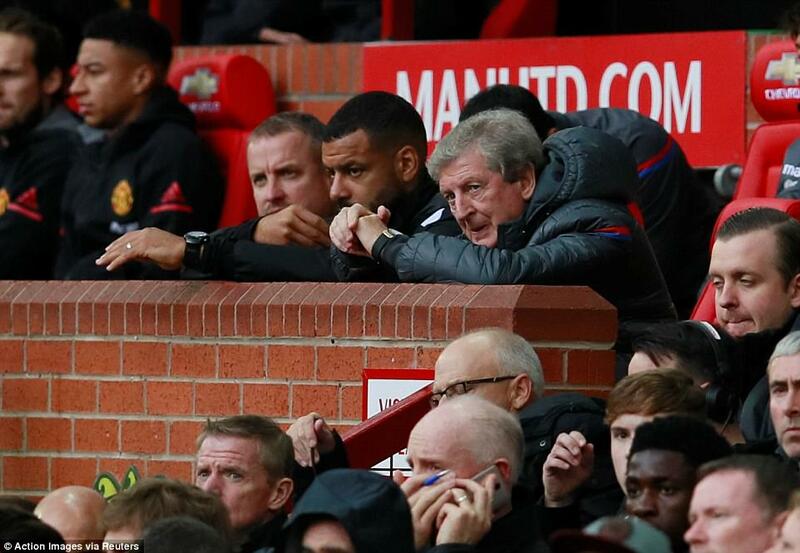 Meanwhile, in the visitors’ dug-out, Hodgson sunk ever lower in his seat with his £1million bonus for keeping Palace in the Premier League looking further away than ever. 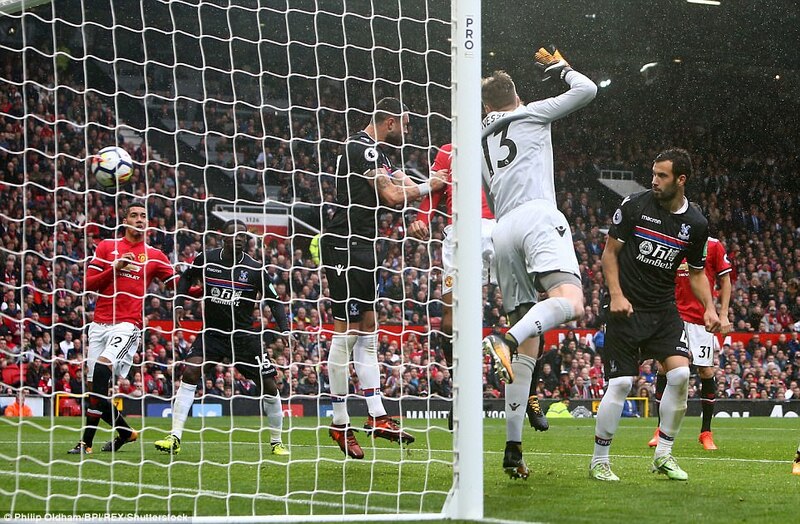 Palace at least had a sniff of a quick reply – Sakho heading over from Yohan Cabaye’s free-kick – before normal service resumed in the Manchester rain. 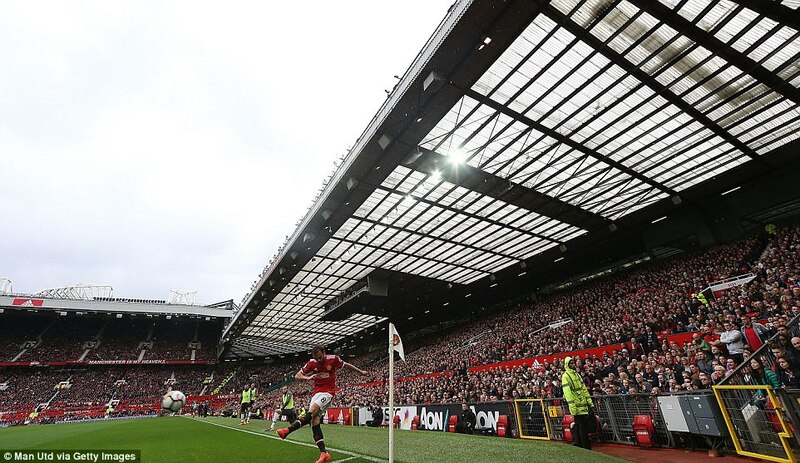 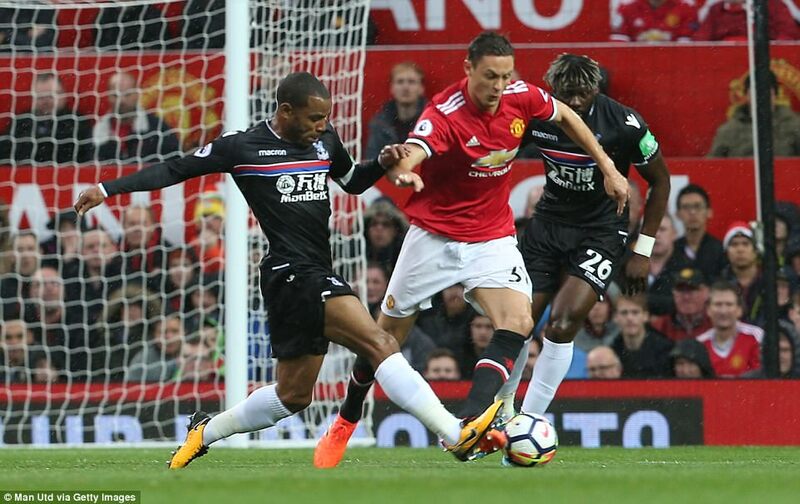 Even Nemanja Matic ventured forward and wasn’t too far away with a potshot from 25 yards. 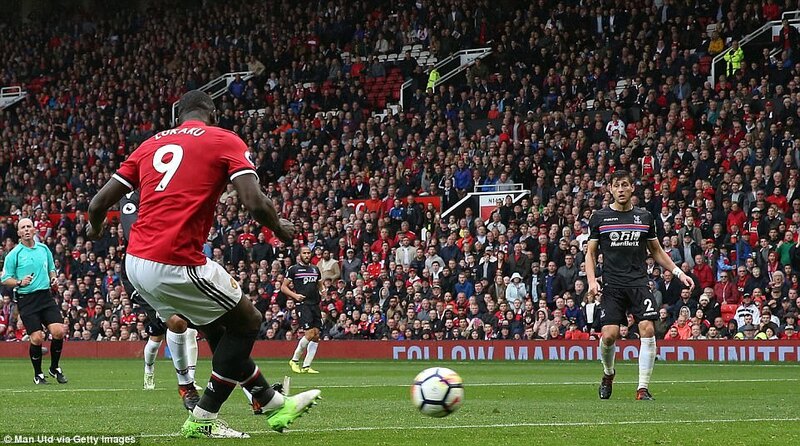 Palace’s best spell came around the half-hour mark with a series of corners while Sako brought a save from De Gea from 20 yards. 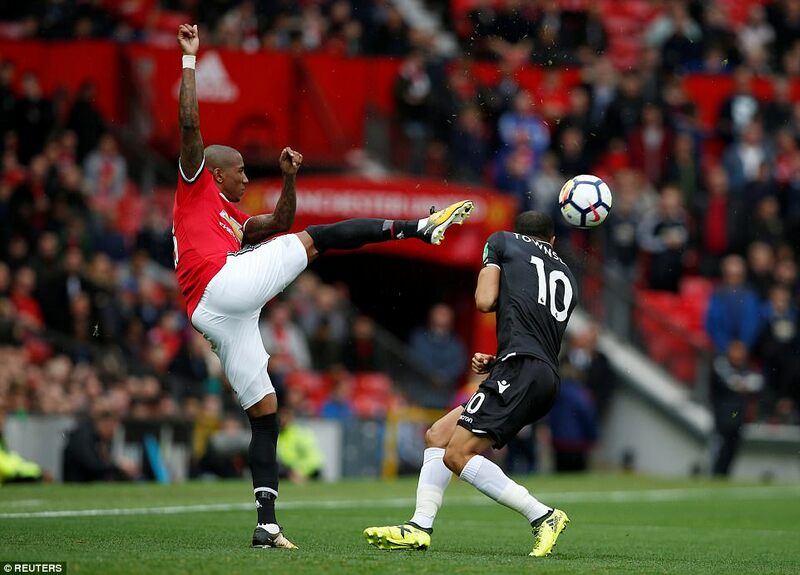 Andros Townsend was under instructions to test Ashley Young but when the boot was on the other foot, United went 2-0 ahead after 35 minutes. 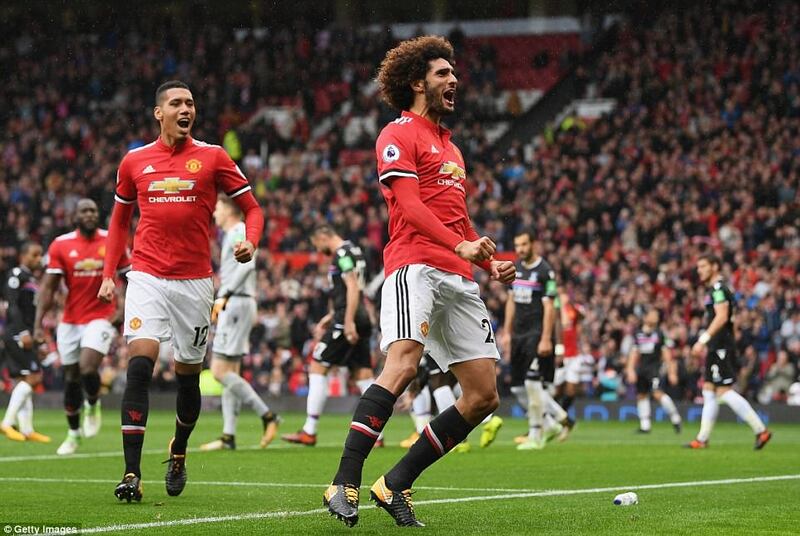 Young advanced into the final third and when Townsend didn’t stick close enough to him, he swung in a fabulous delivery to the far post where Fellaini arrived like a steam train to finish from a few yards with his right foot. 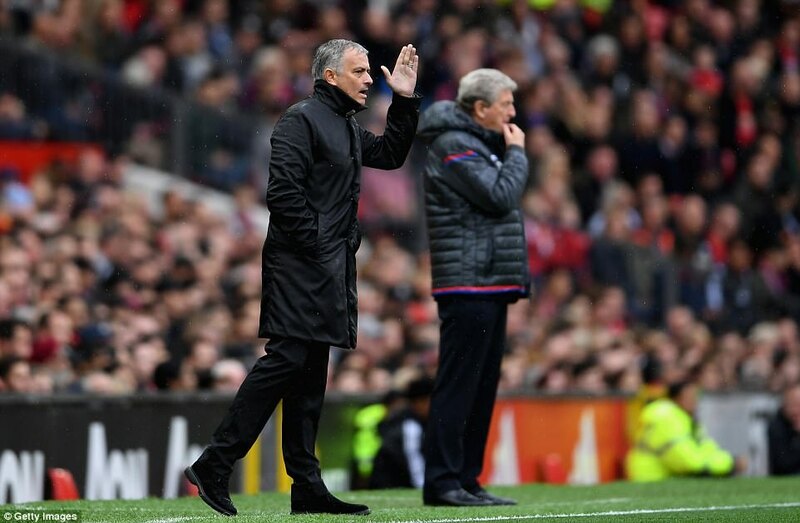 Mourinho’s only concern was complacency and he railed against ‘Playstation football’ after a backheel surrendered possession. 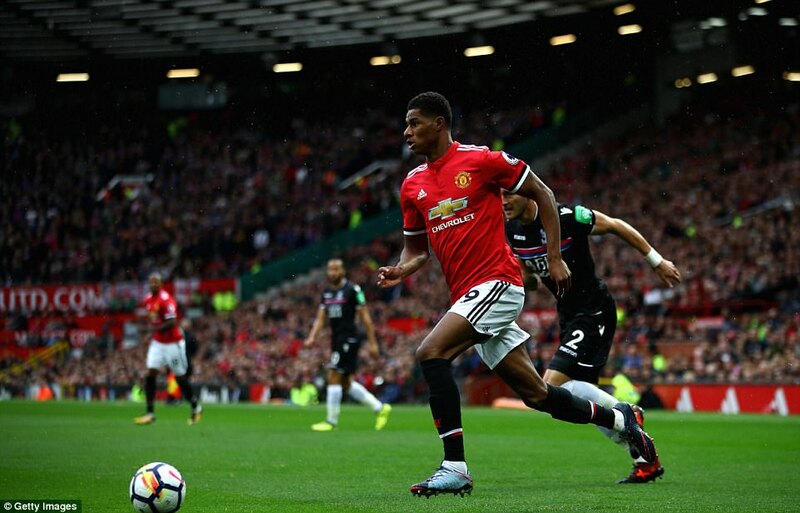 Chris Smalling and Rashford went close to adding a third goal but it eventually came after 49 minutes after a foul on Young by the right angle of the penalty area. 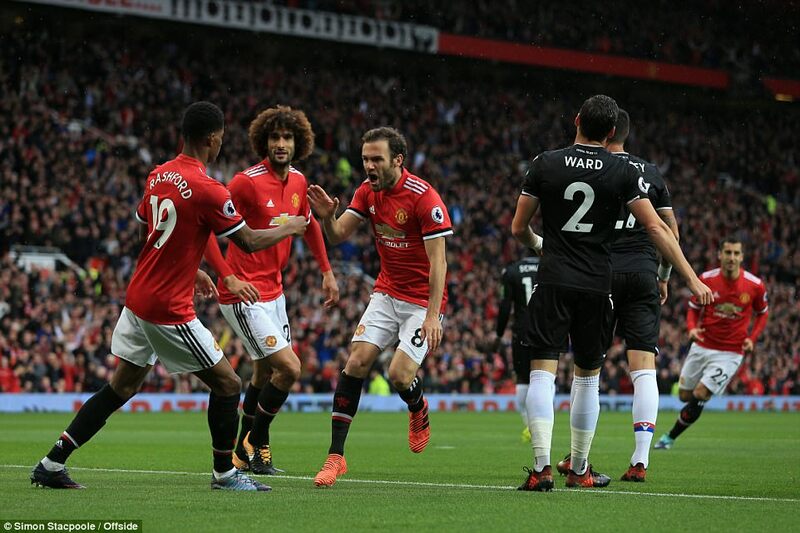 Rashford put plenty of purchase on his free-kick and Fellaini got in front of Delaney to apply the finishing touch with his head from a couple of yards. 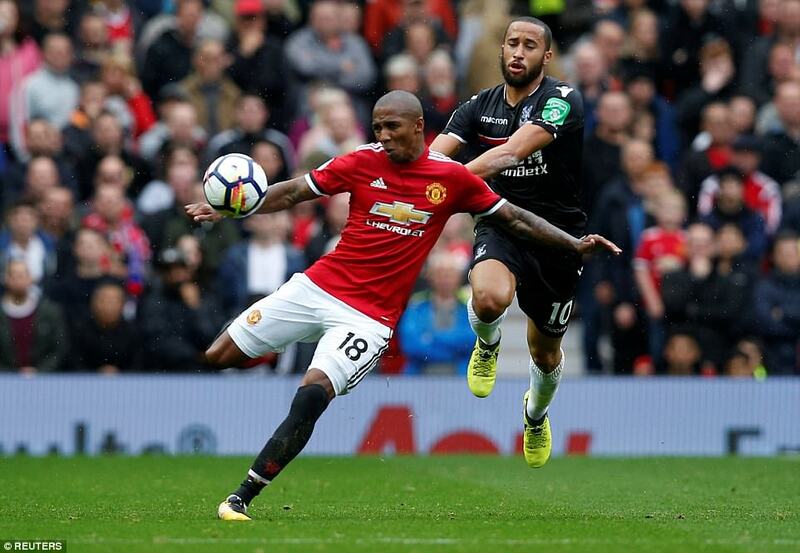 It was the Belgian’s first brace since signing for the club from Everton in 2014. 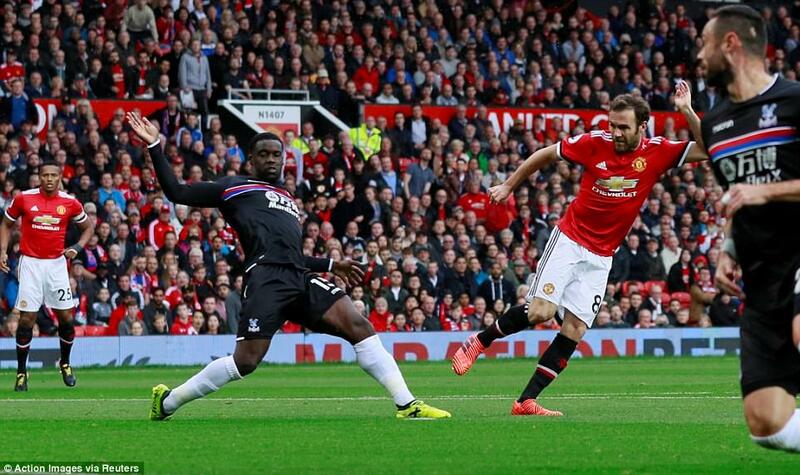 Palace felt hard done by when referee Mike Dean ignored strong penalty appeals following Smalling’s challenge on Sako. 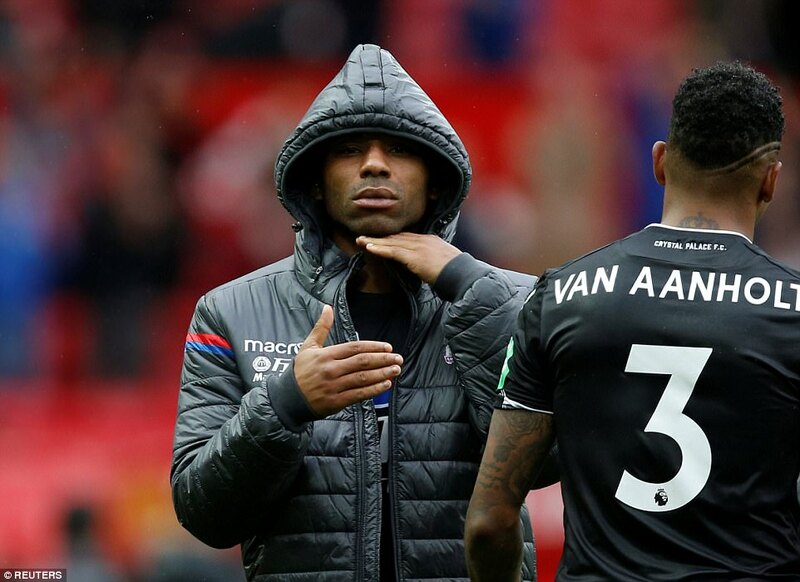 With the game already dead, Hodgson decided to have a look at Jairo Riedewald, one of only two cash signings made by his predecessor Frank de Boer, and Freddie Ladapo, a 24-year-old forward making his Palace debut after playing on loan at Oldham and Shrewsbury last season. 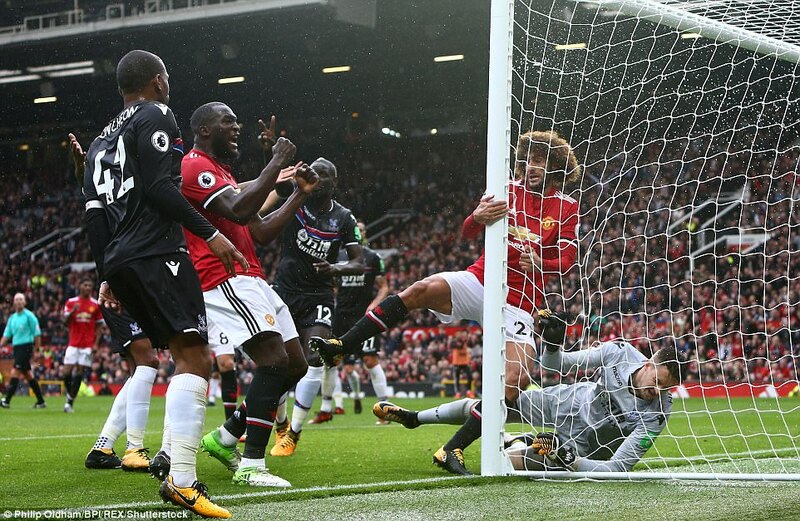 At the other end, Lukaku was temporarily denied his customary goal when he grazed the post after Jesse Lingard’s stumble had distracted Palace. 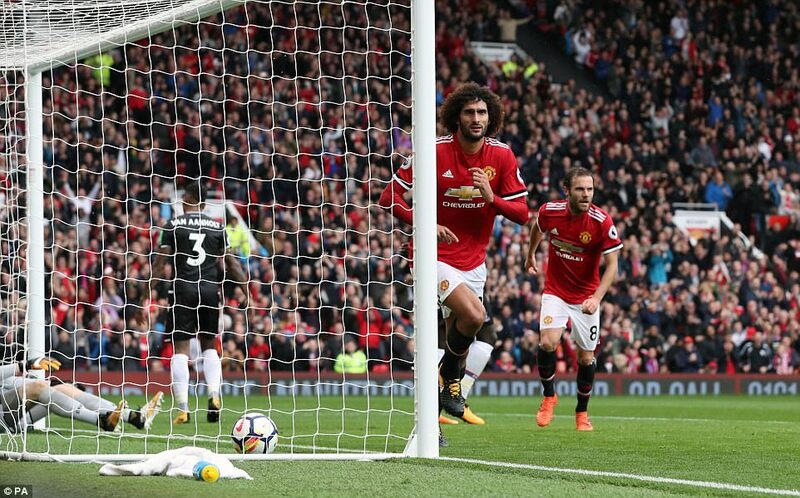 He finally got it after 86 minutes with a tap-in set up on a plate by substitute Anthony Martial. 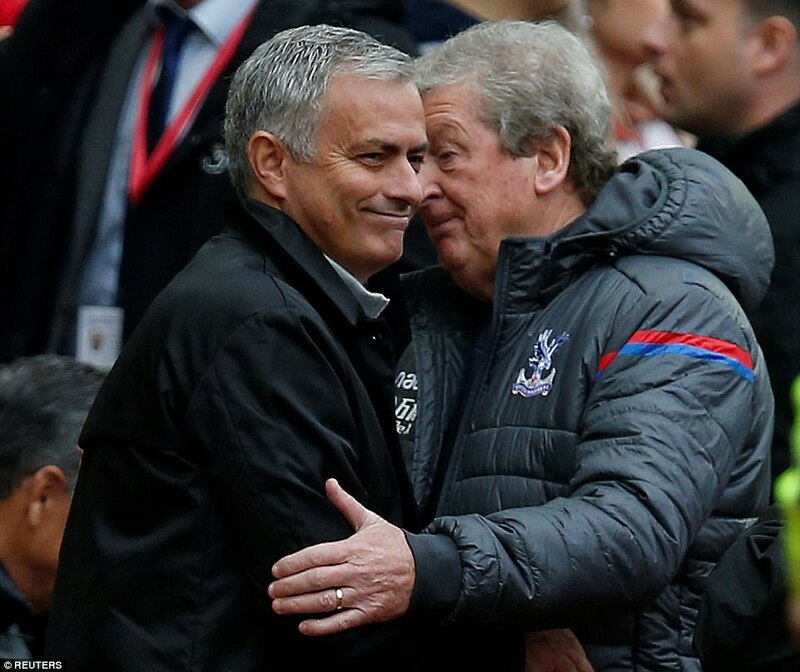 If Palace draw another blank in their next game against Chelsea, they will equal Halifax’s unwanted record from all four divisions of failing to score in their opening eight league fixtures. 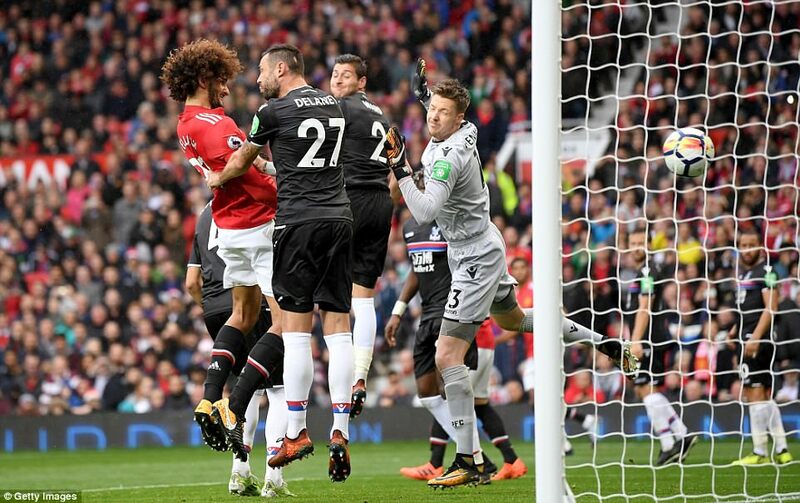 A fourth consecutive goalless defeat for Hodgson would also leave him with the same record as De Boer – though it’s unlikely the former England manager would also get the sack. 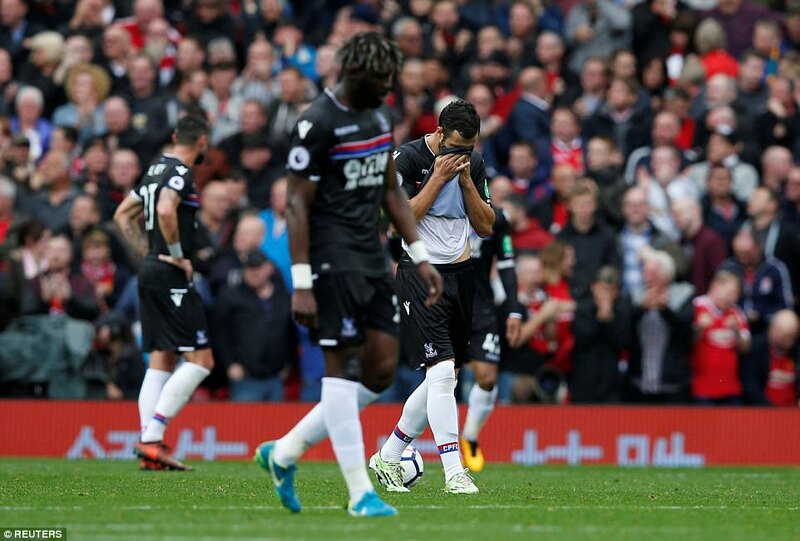 At least the Palace fans had plenty of black humour to go with their team’s shirts. 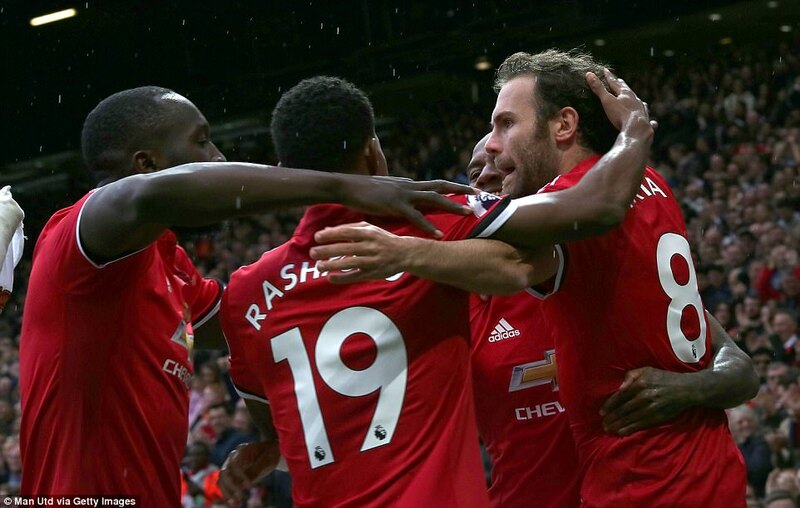 They were beaten even more heavily across Manchester a week ago. 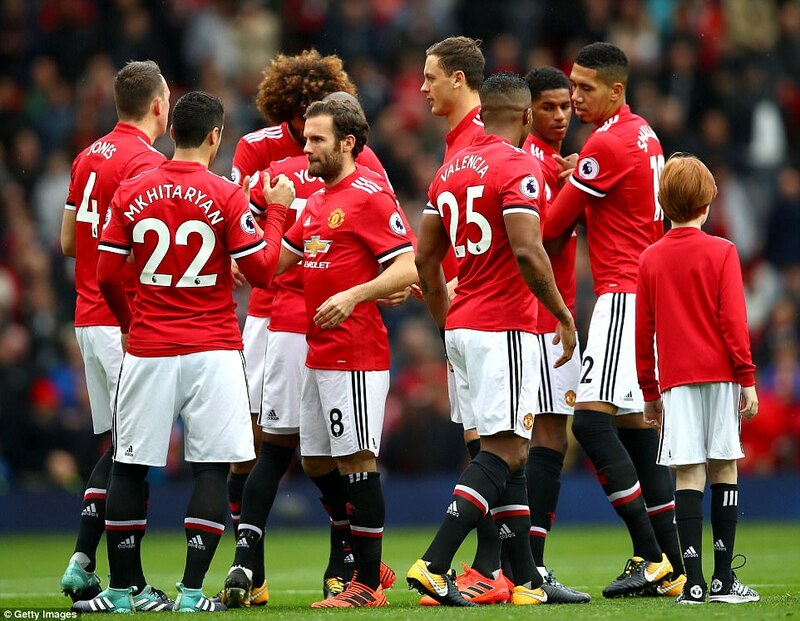 ‘How s*** must you be,’ they sung to United’s supporters. 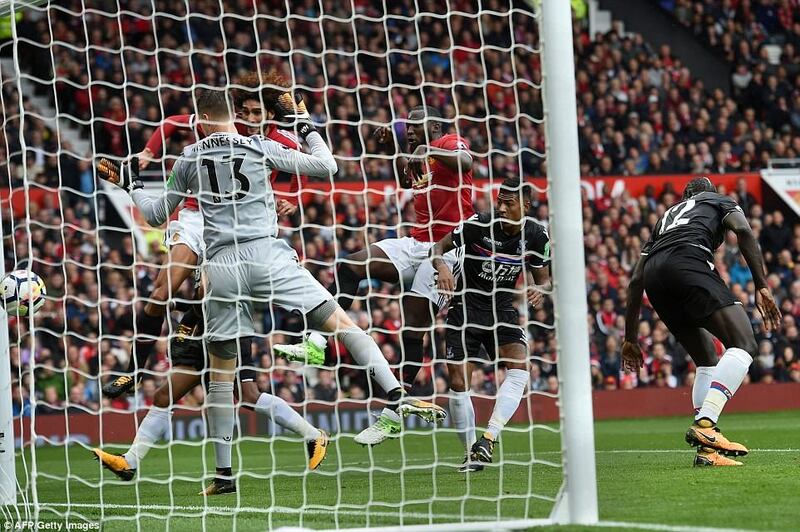 ‘City scored five’.